Are you searching for a significant and affordable way to see the world? Would you like to experience the adventure of a lifetime while making an actual difference? 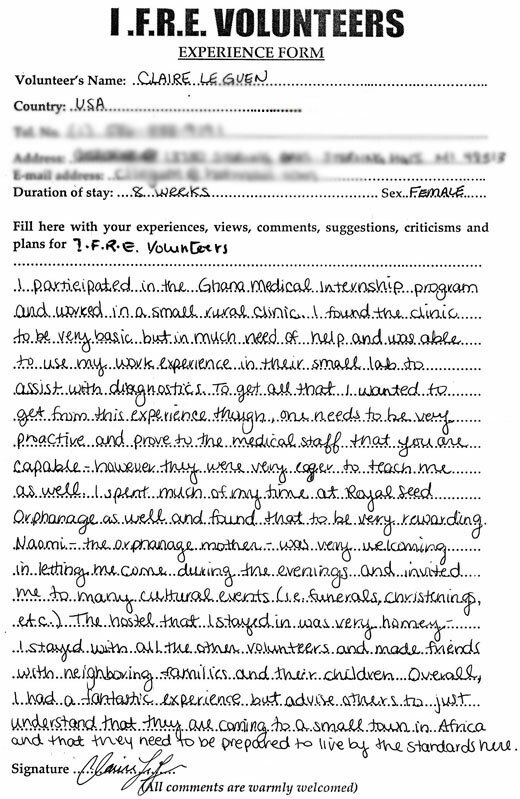 Volunteering in Ghana is a perfect way to do this and more. Ghana is known as the Gateway to Africa because of its position in the Gulf of Guinea, slightly north of the equator. Probably the most peaceful African nation, Ghana has a rich history. Forts and castles built during the country's trading history in gold and slaves are today recognized for their place in world history, hence many have been named UNESCO World Heritage Monuments. Dazzling, mostly undeveloped, beaches offer a vast array of activities from birding and whale watching to water sports and yachting. Despite its beauty and diversity, Ghana suffers from challenges common to developing counrtries. Contributing factors to poverty in Ghana are inadequate access to clean water and food, lack of employment, poor infrastructure, income inequality, overpopulation, and weather extremes leading to crop failure and famine. Today, Ghana desperately needs volunteers more than ever. Many opportunities exist for you to gain valuable life experience while changing lives. Help in an orphanage, teach English or computer skills, or support HIV/AIDS awareness and other health care programs. The need is also great for volunteers in community improvement projects, where you will help improve the quality of life for those living there. Rest assured, we'll place you in a project that speaks to your interests and skills and where you can make a difference. The inspiration and personal growth you'll experience in Ghana will pale in comparison to the positive impact you'll have when you use your skills and ideas to create lasting change in the lives of the people you touch. Make life-long connections and broaden your global perspective! Click below to choose a volunteer program that speaks to you! IFRE volunteer Ghana programs focus on four major service projects: Orphanages , Teaching English , Medical/Healthcare and HIV/AIDS Treatment/Awareness . Volunteer projects in Ghana are situated in Accra and Kumasi. Volunteers can choose any projects in Ghana and share love and passion with local people who need support! Most programs are available year-round. We recommend volunteers begin their placements on a Monday, scheduling their arrival and departure on the weekends. However, due to flight availability, particularly traveling internationally, start dates are flexible. We ask that all volunteers ensure to communicate their arrival and departure plans clearly to their country coordinator to ensure transportation and accommodations are properly arranged. IFRE Volunteers strives to provide the lowest fees along with transparency to all of their volunteers! IFRE Volunteers is proud to offer the world’s most affordable fee for international volunteering and as a 501(c)3 organization, your program fee will be tax deductible. We are proud to focus on the humanitarian aspect of our business, not on profit. We strive to maintain affordable cost, particularly for volunteers; we recognize the value of your donated time and efforts. We remain devoted to maintaining both the quality of the program and the safety of all volunteers involved. Weekly program fee paid directly to your project (covers room/board, field support, etc). You will pay your fee directly to host families and projects. In this way, what you pay will go directly from you to the people who deserve it (not for profit). IFRE manages your living accommodations either in host family or hostel in Ghana. IFRE manages living accommodations, provides meals and supervision for volunteers for the entirety of their stay in Ghana. We offer a “home base” in Ghana. Our home base is about an hour drive from Accra. We try to create a “home away from home” for volunteers staying at our home base. It is a perfect situation for volunteers to live safely and comfortably while making many new friends and sharing experience every day. Most of volunteers project in Ghana are located within 1-20 KM of our home base so you may walk or ride a local bus to your project. In the evening when you return to home base, you can relax, eat dinner, explore local areas or simply share experience with volunteer comrades. Occasionally if a project is located far from the IFRE home base or when our home base is fully occupied with volunteers, we will place volunteers with host families. Our host families are carefully screened, socially respected and experienced with hosting international volunteers. 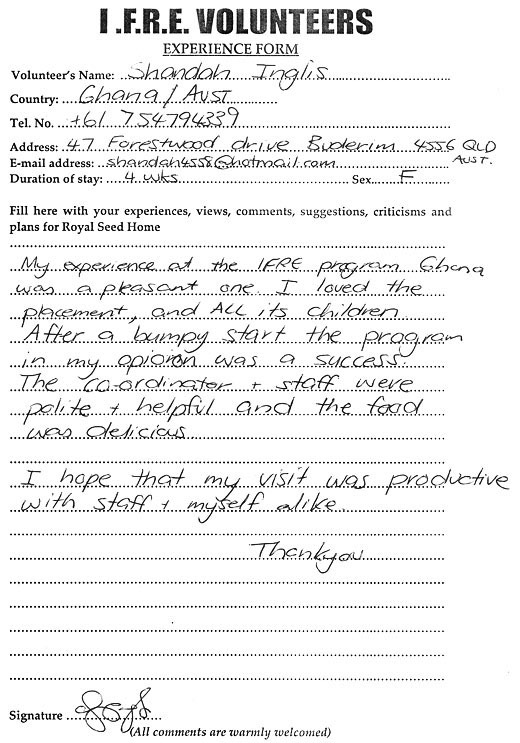 Wherever you stay, your accommodation with IFRE is safe, clean and comfortable. In most cases, you will share a room with volunteers (of same gender). In Ghana, our field staff is an experienced team comprising of country coordinators, assistant coordinators, managers, cooks and field assistants. Our field staff visits volunteers regularly and always happy to help our volunteers in any way needed. We offer 3 meals a day of local cuisine. Typically, volunteers eat breakfast and dinner at the home base (or host family) and have lunch at their project. We offer fresh, nutritious and safe local foods to our volunteers to eat. We also work extremely hard to maintain our facilities in a positive condition. IFRE offers a Language and Cultural Immersion orientation program in Accra, Ghana. This week-long intensive immersion and training program includes: language training, lessons on history, culture, ways of life, visits to local villages/towns/markets, guided Accra exploration and local tourist attractions. This IFRE program aims to submerge you in Ghanaian culture, history and ways of life to vastly improve your time as a volunteer in Ghana. When you understand the life and culture around you, your experience is richer and more rewarding. However, you can choose to take the Language and Cultural immersion program or go directly into a volunteer project. If you opt to participate in this one week Language and Cultural immersion course, your volunteer program will begin the Monday following this one-week of Language and Cultural Immersion taught in and around Accra. This experience should not be missed! So many international travelers wish they could have an opportunity such as this to receive a briefing on customs, language and history. What kind of food do we eat in the project or with the host family? Volunteers are provided typical Ghana fare that may include Banku, Fufu, Rice, Beans, Wakyee, Kenkey, Omutou, Tuo Zafi and Koko amongst other things. Does the project or host family have internet? Electricity? The project or host family does not have internet but there are internet cafes in every neighborhood in Ghana. Your coordinator or host family will assist you with finding a nearby location. Volunteers can expect their accommodations to have relatively stable electricity available for their use. Do we get hot shower in our accommodation? Unfortunately, there a not hot showers available; however, with the hot temperatures in Ghana they are also not necessary. Volunteers can expect to a cold sprinkle or to bath in what is referred to as a bucket shower. Is it safe to keep our items in the home of the host family? Yes, it is safe but we recommend that you keep your things locked away. If you are traveling with any valuable possessions, (which is not recommended) your program coordinator can arrange for its safekeeping. Is water safe to drink or do we need to buy bottled water? Ghanaians drink water from the tap that flows to their homes, however many people do not trust the water provided, we advise volunteers to purchase bottled water or sachet water called in Ghana popularly as “PURE WATER”. Is it an issue if I am vegetarian? I am wheat allergic; would it be a problem to the host family? The host family is happy to work around any dietary restrictions for those who are vegetarian, vegan or gluten free. Do I get my own room in the host family? Volunteers often share quarters in the home of the host family; therefore, they should not expect a private room. Do the members of the host family or the project speak English? Yes, members of the host family, as well as members of the project speak English. Yes, you can stay together. What are the bathrooms and toilet facilities like? Bathrooms tend to having running water, however if there is not running water you will need to utilize a bucket for showering and flushing. Volunteers will be instructed on washing their own garments by hand. Yes, you can, however you must conserve electricity since it is very expensive in Ghana. What bedding materials like? Do I need to bring sleeping bag? You will sleep on a bunk bed so you will need to bring a mosquito net. Which airport do I need to fly in? Do you organize airport pick up? Yes, we will coordinate airport pickup with you once we receive your travel itinerary. Where do I go from airport? Your coordinator will greet you at the airport and transport you to your home base where you will spend the night and receive your orientation prior to being dispatched to your project. What happens if I missed flight or arrived late? Please find a way to contact your coordinator either by a text message, email or a call- be certain that you have the contact number for your ground coordinator for your trip. Who will come to pick up me? How do I recognize the person at the airport? Volunteers will receive detailed information regarding their arrival and meeting with their coordinator prior to their arrival. If my assignment begins on Monday, when should I arrive? Volunteers should plan on arriving the day before their project begins, since most projects begin on Monday, it would be best to schedule your arrival for Sunday. If I want to arrive earlier than when my assignment begins, where do I stay and who will organize the accommodations? Does it cost me extra? You can stay at the home base for those extra days and pay an additional $30 per night for food and accommodation. You can also arrange your accommodations with a hotel in Accra and pay $100 per night for accommodations. Your ground coordinator will organize your drop off to the airport following the completion of your program. Can you help us arranging our flights? Do you recommend any cheapest flights to fly to Ghana? Unfortunately, we do not assist volunteers with arranging their airfare. Can you please provide me the visa information? What kind of visa do I need to apply? 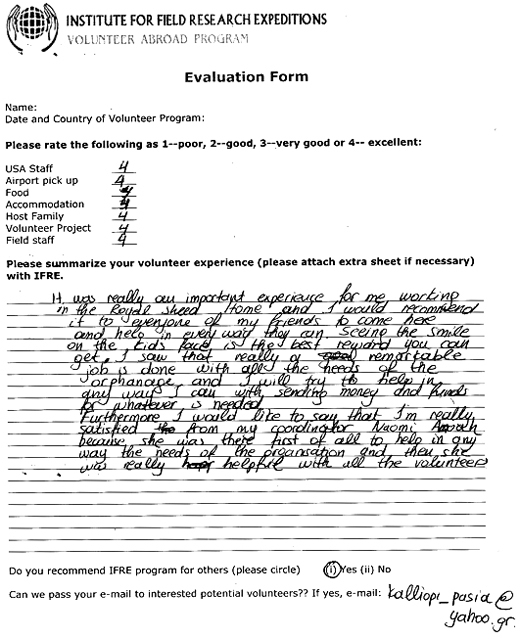 We recommend volunteers apply for a tourist visa, which is easier and faster to attain. When applying for a tourist visa it is not necessary to state that you are going to volunteer, but you should simply state you are visiting. This will prevent a significant amount of paper work, which could possibly delay your trip. You can apply for visa by contacting the nearest Ghana Embassy Consulate near you. How much does it cost for the visa application? Do I need any documents to apply for the visa? You may be asked to provide and invitation letter which can be provided to you by your ground coordinator. How long does it take to get the visa approval? It can take anywhere from 2-4 weeks, however you can request a ‘Fast Track’ visa from the consulate. Can I extend my visa while I am in the country? Can you help me on this? Yes, you can extend your visa while in the country, your country coordinator can assist you in doing this. Ghana is one of the safest countries in the world, recognized as the gateway to Africa. The crime rate is very low and the rule of law prevails in Ghana. The democracy in Ghana is very stable and reliable. What are safety measures you take for the volunteers? How can you guarantee volunteers’ safety? From the time volunteers land in Ghana until they leave they are always in the care of a reliable staff member of the program. We do not utilize third parties when it comes to the safety of our volunteers. Rules and regulations are clearly given during the time of orientation to enable volunteers to reside peacefully in Ghana. How can you help volunteers in case of emergency? Is there someone we can get hold of in case if we need immediate help or support? Your main point of contact throughout your trip is the country coordinator who is well versed in handling situations and familiar with the country and those who may need to be contacted for help. Yes, it is very safe to travel alone. There are ATMs readily available in the vicinity of your homestay. It is recommended that you carry a Visa debit card to easily access your funds by ATM. Your ground coordinator can show you the best place to exchange your currency. That one depends on what you want to do in addition to your volunteering. $50 a week on the average should be okay. If you intend to travel around the country, you will need additional funds. What does the weekly program fee cover? Your weekly fee covers your food, accommodations, project donation, and other field expenses . Yes, it is safe to carry cash, yet recommended you only carry what is necessary. How do I contact to the local coordinator? All contact information for your local coordinator including phone and email will be included in your placement sheet. How do I contact my family and friends once I arrive in Ghana? How can my family members contact me? You will be able to contact your family via internet or your country coordinator can assist you in making international phone calls. Can I bring my mobile from my home country? Does it work? It will be advisable to purchase a simple cell phone when upon arrival which will cost approximately $30 and your coordinator will assist you with the purchase. Please provide detailed information on year round climate in the country which consists season you have, average temperature and average rainfall in each month. Volunteers have free time for the duration of their volunteer project, weekends and the Language and Culture program. While IFRE does not arrange activities during this time off, our local staff, members and coordinators can provide priceless assistance in making appropriate arrangements for travel in Ghana. It’s the time for self discovery and learning. It’s time to explore this foreign culture and exotic land. Our IFRE local coordinators/staff are available to give you free advice, travel tips and helps to book your travel. Walk the above the tree canopy in the rainforests or lounge at the beach. You can fill your free time with many incredible experiences in Ghana! Ghana has gorgeous botanical gardens to explore and pristine beaches. Assorted wildlife can be found throughout the country and Ghana is home savannah elephants and many other mammals, including seven types of monkeys. The adventure doesn’t stop with natural beauty as Ghana’s cities offer up cathedrals, museums, theaters, restaurants and more in the thriving urban areas. In your free time, you can explore all the amazing attributes this diverse and abundant country has to offer! Please discuss your options with our local project staff to find the best way for you to spend your free time in Ghana. What are the principle health risks in Ghana? Is there any mandatory vaccination we need to take? The yellow fever vaccination is required prior to traveling to Ghana, and you must carry proof of the vaccination as well. Vaccinations for Hepatitis A & Typhoid are also recommended as well. Where can I use internet? Is there a place where I can use phone to make a call to my family and friend? There are internet cafes all around and your ground coordinator or host family will help you locate the one nearest to you. What kind of gifts would be appropriate to bring for the host family and the project? The host families will appreciate gifts of chocolates, candies for children, dresses, shoes, toys or any other items representative of your home country. Could you please provide me the packing list? Here you will find useful information about popular projects and organizations for Ghana volunteer projects, along with tips for pre-travel planning, and handy hints on how to get the most out of your volunteer experience in Ghana. Akwaaba (welcome) to Ghana and to a land of rich and colorful cultural and historical heritage, sunshine, idyllic beaches, thriving cities, rainforests, the savannah desert, national parks and wildlife, and some of the friendliest people in all of Africa. The diverse cultures, religions and ethnic groups which exist throughout the country create a unique energy and atmosphere the runs through the heart and soul of the people, their festivals become alive with their music and dance and you will feel the sounds of the African drums awaken you. When you volunteer in Ghana you will witness the true nature and spirit of the country and the Ghanaian people. Although Ghana has a relatively stable democracy, unfortunately there is still a large gap between the wealthy and the poor, and many residents of rural communities and villages live below the poverty line, with little or no access to adequate healthcare or education. There are lots of volunteer opportunities in Ghana, especially for those willing to offer their skills and time in the fields of: construction, education, medicine, conservation and community /social development. Volunteering in Ghana is a great opportunity to help improve the quality of life of those who really need it, while giving you a greater appreciation and outlook on life. Are You Planning to Volunteer in Ghana? Looking for safe, reputed, and affordable volunteer program? They have the reputation of being the friendliest people in Africa or a good reason - you will always be made to feel at home by the welcoming, warm-hearted and hospitable nature of the Ghanaian people. Each region of Ghana has its own unique culture, reflecting the influences of a particular ethnic group. Volunteers can enjoy travelling around the country and experience the foods, religions, languages and lifestyles which mark each area as unique. Ghana is a relatively economically stable county, which has an impact on the nature of the people of the country. The Ghanaian people are welcoming and create a safe and peaceful environment for tourists visiting their country. From coastlines, and picturesque beaches, mountain peaks, and valleys, desert plains of the Savannah desert, rivers and rainforests: Ghana is blessed with diverse yet beautiful landscapes, and a drive through the country will unlock the beauty and secrets of the country. A volunteer experience in Ghana will give you the opportunity to use your skills and pass on your knowledge to help create positive impacts on people and communities in need of assistance and support. Your assistance in Ghana will be much appreciated. With the warm hearts of the Ghanaian people you will feel a greater desire to immerse yourself into their culture and learn all that you can. This experience along with working in developing areas will be an experience of personal growth where you will learn about yourself, open your mind and gain confidence. You probably have many opportunities to indulge yourself in your regular daily life. Whether that involves eating out when you don't want to cook, buying a book for study or pleasure, or just relaxing with the TV and a bucket of popcorn at home. As a volunteer in Ghana you have the unique opportunity to use your time more productively, to give something back to the world by sharing your time, skills and abilities in a worthwhile way. Living and volunteering in Ghana will give you the opportunity to live like a local and get to know the country from a locals perspective. The Ghanaian people will welcome you as one of their own, and be proud to share their cultures, customs and country with you. What are some popular volunteer projects available in Ghana? There are many volunteer opportunities throughout Ghana, which between them require a vast range of different skills and knowledge base. Here is a list of some of the popular projects that you can join in Ghana. Unfortunately there are many abandoned children in Ghana. 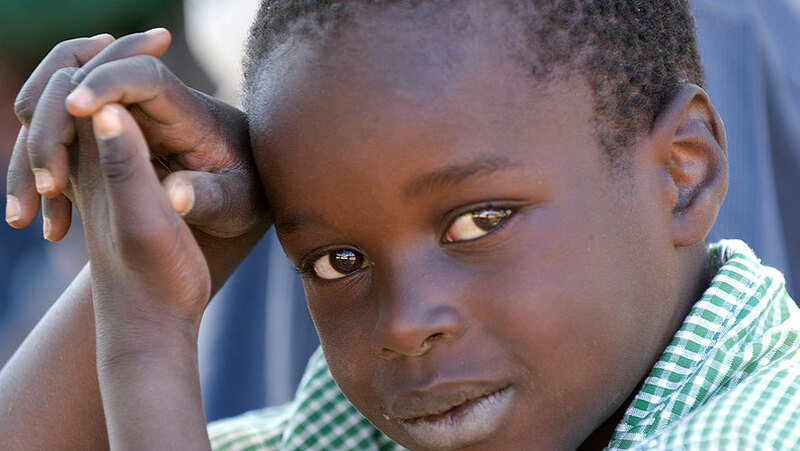 Orphanage projects aim to provide shelter, education and above all genuine love and care to these children. As a volunteer you will be able to help out with all aspects of orphanage work, which include: furthering the children's education and emotional development, health and hygiene and of course providing a positive and nurturing environment for the children. In Ghana education is greatly valued; however access to quality teaching and resources is limited. Volunteer teaching programs have been set up to enhance and improve the quality of learning and development for children. Your role as a volunteer teacher usually involves teaching English language skills - along with other subject areas, educational play, arts and crafts activities, outdoor activities and educational games. Health volunteer programs in Ghana promote and provide quality health, hygiene and medical assistance to communities in need of development. Volunteers on these projects usually provide assistance to medical professionals, provide support and care to the patients and deliver health education on topics such as HIV/AIDS. Sports projects in Ghana have been set up to increase children's participation in physical activity and sport, which leads to longer term health benefits. These projects build children’s skill base not only in sports, but also in social interactions and life skills, as they learn how to work as a team, encourage others and build self-confidence. Volunteers in these projects work with Ghanaian children to develop their interest and skills in a range of sports and physical activities. These projects focus on constructing and restoring facilities such as orphanages, clinics, schools and community centers. Volunteers on construction projects in Ghana will undertake a range of physical labor tasks, such as laying bricks, painting, carpentry, digging foundations and so on. Where are some popular places to volunteer in Ghana? Volunteer projects are available in both cities and rural areas throughout Ghana. However, there are some locations which are more popular than others, due to the number of projects offered, the safety of the region and the demand for volunteers. Here is a list of some of the most popular destinations for volunteers in Ghana. Volta Region: The Volta Region is located to the east of the Volta Lake and shares a border with Togo. This area features many tourist attractions, including: Mt Afadjado, the highest mountain in Ghana, Volta Lake, Atlantic coastlines and beaches, the Keta basin, and stunning waterfalls, along with an abundance of national parks and reserves which are a great place for spotting wildlife. The Volta region hosts a vast range of adventure activities, and is rich in history and cultural heritage. When volunteering in the Volta Region you will have the opportunity to experience all that it has to offer. Some popular volunteer projects in the Volta Region are: teaching, health, orphanage work, plus women's’ empowerment, disabilities support and child development programs. Accra: Located on the Atlantic Coast, Ghana’s thriving capital city blends 19th century public buildings with modern day designs. 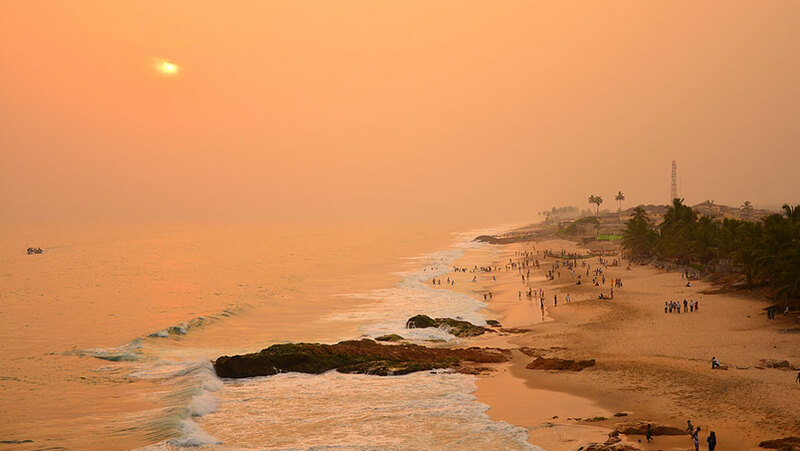 Full of color, bustling markets, excellent eating establishments and a vibrant nightlife, when you volunteer in Accra take the time to explore its many hidden wonders. Kumasi: Located in the Ashanti Region and an important historic center for Ghana, Kumasi offers visitors an abundance of culture, history and nature. It is home to one of the biggest natural lakes in Ghana, (Lake Bosumtwi), the Manhyia Palace and the national cultural center - where you can experience traditional dancing and drumming. Kumasi is surrounded by rolling hills and villages where you can find traditional artisans making and selling their crafts. Volunteering in Kumasi is a great opportunity to immerse yourself in the culture of the city and its surroundings. Some popular volunteer projects in Kumasi are: HIV/AIDS projects, veterinary and animal care, orphanage work and teaching. Which is the best season to volunteer in Ghana? Any time of the year is good to visit Ghana, however if you want to combine pleasant weather and some of the best cultural events in the country, then July - August or December - April should be your months of choice. Check which region your volunteer placement is in, as climates vary across the country. In southern Ghana along the coast you are likely to experience higher humidity than in the north. The best season for the south is the dry season, which runs from November to March and July to August and offers cooler temperatures. Bear in mind that some programs only accept volunteers during certain times of the year, so make sure you check this with your organization. Once you have been accepted onto your chosen volunteer placement in Ghana the next step is to start on your pre-travel planning. Getting everything organized now will avoid any major hiccups further down the line. Here is a useful guide of things to prepare at this point. All foreign nationals entering Ghana for volunteer purposes must have a special 'volunteer visa', which you can get from your closest Ghanaian Embassy, Consulate or High Commissions. Apply at least one month before your departure date to leave time for any delays. For entry into Ghana all foreign nationals must hold a valid passport, with more than six months validity (dated from the date you are due to leave Ghana). As a single entry visa stamp allows a stay of 3 months do take this into account. Make sure you are protected against any unwanted illnesses, disease or health concerns while in Ghana by visiting a doctor or clinic doctor and checking that all your routine vaccinations, such as Tetanus, diphtheria, polio, mumps measles and rubella are up to date, and that you have any booster shots or other vaccinations as required. Hepatitis A & B and Typhoid shots are highly recommended, along with the yellow fever vaccination. Many other countries require proof of the latter from travelers who have previously spent time in Ghana before granting you entry. Airfares to African countries can often be quite expensive, so here are a few handy tips to help you source the best deal available. Volunteer Programs in Ghana can be quite expensive and airfares from most international countries are quite pricey too. If you think you are going to break the bank by embarking on a volunteering placement, rest assured that there are many ways in which you can raise some money to help pay for your volunteering experience. One way is by asking friends and family to support your venture: hold a charity event, such as a dinner party, picnic in the park, film night, fashion show. Or you could sell some unwanted items and goods at a local flea market or online. Check out the site for more tips on fundraising ideas. Gaining some insight and knowledge about the country you are travelling to is always a good idea. Grab a good guide book or a novel based in Ghana, and get started on that all important research. To show appreciation to your project in Ghana it is a nice gesture to give a small gift. Gifts do not have to be big or expensive, just small tokens or memorabilia such as t-shirts, photobooks or souvenir type gifts from your home town or country. If you are working with children then gifts such as stationery supplies, educational resources, books and toys will bring a smile to their faces and will be greatly appreciated. Before you head off to start your volunteer in Ghana adventure you will probably feel a mixture of emotions, including excitement, nervousness, fear or anxiety. However, finding out all that you can about your project, host family and local support will help to calm some of those nerves, and prepare you for your volunteering endeavour. 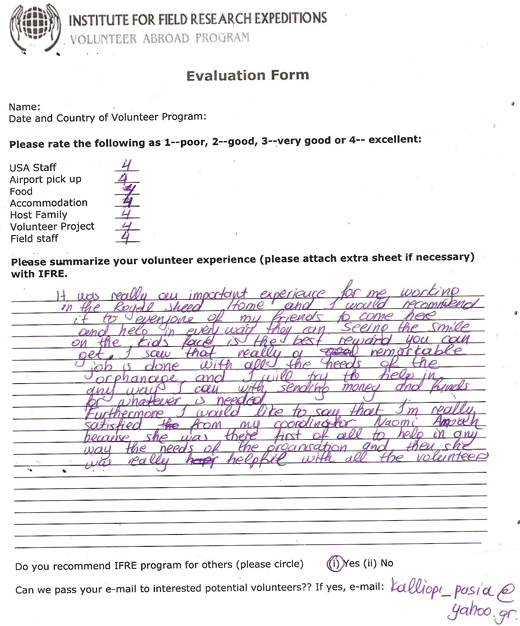 It is important that before leave for your volunteer placement in Ghana you have all the details of your project, including their expectations of you. Contact your organization if you have any questions that are still unanswered, or there is anything you are still unsure about. If you are placed with a host family during your volunteer placement, try and connect with them before you arrive, then when you get there you'll have some sense of familiarity. Your host family will help you integrate into the Ghanaian community as you learn about their customs, cultures, traditions, beliefs and way of life firsthand. It is important the before you leave that you obtain all the necessary details for your local support team in Ghana. Find out who your point of call will be, and the ways you can contact them. If they have a walk in office find out where they are located. They are who you will need to speak to if you have any concerns or any issues arise, but they can also offer information and advice on living and travelling in Ghana. Before you leave your home country get in touch and introduce yourself, kicking off your working relationship with them. Before you leave for Ghana It is recommended that you call your volunteer organization and ask any last minute questions, and check that all the details you have are correct and confirmed. Volunteering in a developing country like Ghana is sure to be an experience filled with engaging discoveries, special moments and of course lots of learning opportunities. When you offer your skills, knowledge and time to help others you inevitably gain a new appreciation of your regular world and lifestyle. 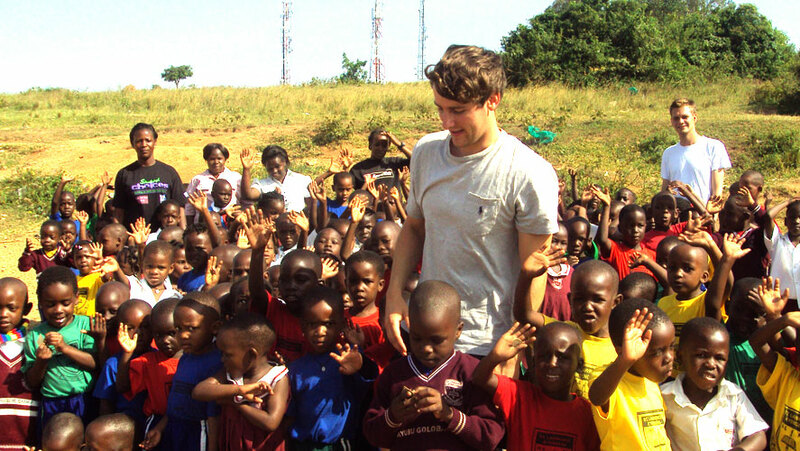 Your Ghana volunteer experience will be both a rewarding and life changing undertaking. Choosing to volunteer in Ghana means immersing yourself into life in a developing country, where the environment and standard of living will be quite different from what you are used to. Before you go take the time to do some research about the country's religion, culture, politics, economic stability, health care and education system, as this will be prepared for life in Ghana. Before you embark on your volunteering experience in Ghana it is important to find out everything that will be expected of you as a volunteer. What duties and responsibilities you will have, who you will be working with, and any specific rules or guidelines which you need to follow. This should minimize any issues or problems which could occur if you are ill informed of what is expected of you. Making friends with locals can be so rewarding. You get to gain a greater understanding of the country, the way of life and the location where you are living or volunteering. Plus you get to know the country from a local’s perspective as opposed to the tourist perspective. Make the most of your time with your host family, and the locals at your project and in the community. They will be valuable resources to help you to integrate into the community. If you are passionate about your project and its mission you will find great rewards in everything that you do throughout your volunteer placement. Seeing the smiles of appreciation for your time and support, will have a great impact on your overall experience. Your time, effort, dedication, skills and knowledge are all valuable when working to improve the quality of life to individuals, communities or the environment. However, it is important to remember that what you do is part of a bigger picture with long term goals. So even though you may not see major changes or improvements straightaway it is important to remember that the volunteer work you undertake is valuable, and appreciated by those in great need. Your volunteering experience in Ghana should be a positive one, so if you have any issues or concerns regarding your project, host family or volunteering experience you should let your local support team know as soon as possible. When you volunteer in Ghana it is important to be aware of any potential risks to your safety. The primary thing to be cautious of are petty crimes such as pick-pocketing and purse snatching. There are also occasional reports of some violent crimes involving foreign tourists, and political situations can be a risk, especially in Northern Ghana. Always carry a copy of your passport rather than the original document, unless it is needed for a specific purpose. Check for any safety or travel warning advice for the country before you leave. Avoid’ falling victim to petty theft or pickpocketing by leaving any valuables at home. If you need to take them outside make sure they are well concealed so you don’t bring unwanted attention to yourself. Always catch a registered taxi and be aware of taxi scams. Always be aware of your surroundings and pay attention to landmarks or street names in-case you do get lost. Waste anything. Ghanaian culture values using everything to its fullest extent. Cultural Shock can present itself in many ways when you are living and working in a foreign place, and perhaps especially when in a developing county, where cultures, traditions, beliefs, living environments, hygiene standards and daily living are completely different from what you are familiar and comfortable with. At times you may find these differences overwhelming, but accepting them as part of the experience will help you to understand, accept and appreciate their way of living. Here are a few tips that will help you to deal with culture shock while volunteering in Ghana. You will not be the first volunteer to struggle with the lifestyle differences you may experience when you live and work in Ghana. Reading reviews and blogs entries written by previous volunteers in Ghana is a good way to learn more about what to expect, and how they overcame culture shock. Even though you will be learning about life in Ghana from their perspective, and your journey may be quite different, it will still help to prepare you a little for what you may see and experience. The website is also worth checking out for insights into others people's experiences in Ghana. The culture, customs and traditions of Ghana are unique and may be very different from anything you have experienced before. Learning about another culture is a rewarding experience, and a great way to understand why these traditions, customs, cultures and beliefs still exist. Immerse yourself in the Ghanaian lifestyle, and make the most of all the opportunities you get to try local food, attend cooking classes, learn about medicinal plants, attend a religious ceremony, visit indigenous communities, and generally learn as much as you can about the Ghanaian people and their cultures. Another way to beat culture shock is to be open minded, and embrace every experience that you have. Being in a foreign place can get tough at times, but it is important to remember why you decided to volunteer in Ghana. Focusing on your volunteer project helps you to remember that the work you are doing will benefit individuals, communities or the environment, and help to provide a better quality of life. Embrace even the smallest achievements that you make day to day, confident that they really do make a difference in the long term. Being away from home and your family and friends can be difficult, especially when your usual comforts from home are not present. Take the time at the start of your project to make friends with fellow volunteers and local staff. Local staff can help you integrate into the community, and fellow volunteers will probably have been through the culture shock blues so can offer advice and support. Visit one of the witches’ settlements which are sanctuaries for those who have been accused of using witchcraft. Whether you volunteer for one week or a couple of months your volunteering experience in Ghana is likely to be one of the most invaluable and life changing experiences you ever have. When you return you will want to share your experiences and stories with the world, and a good way to do this is to start a blog. You can use it to tell your story and highlight your experiences, or share tales of unexpected moments and even difficult times. Adding some photographs will help attract people to your site. A blog is a great way to raise awareness of the need for volunteers in Ghana, and share the amazing things the project in which you were involved in achieves. It will also be a valuable resource for future volunteers who are contemplating undertaking the same, or a similar project in Ghana. Take the time to provide constructive feedback to your volunteer organization's staff. They will appreciate hearing how you found the experience, from the booking process, to the support and guidance given, your project, accommodation. This information helps them to continue to develop projects or enhance and improve existing volunteer placements. Providing continual support for your project, once you return from volunteering is possible. If you are passionate about truly supporting them you can create campaigns to raise awareness for the project and to encourage prospective volunteers. You can host charity events, fun runs, talent shows, film nights, fashion parades. You can create competitions or raffles, find potential sponsors for the project, or create online funding campaigns where proceeds raised go towards supporting the program you worked on. Maintain contact with all the local people and other volunteers that you met along the way. These people can be great support networks for the future either when you are developing your campaign or looking at future volunteer opportunities. How will I get from the airport to my host family/volunteer house? When you arrive in Ghana there will be an airport pick up service available for an extra fee. Contact your organization for further details. Will there be any support from staff in country? Yes, once in Ghana there will be a local support team available to assist you with any questions or concerns. Ask your organization for the contact details of your local support team. How many other volunteers will be participating with me? The number of other volunteers that you will be working with is usually dependent on the time of year that you choose to volunteer, and the number of applicants that your project accepts at any one time. Check with your organization for more details. If I volunteer with my friend can we be placed in the project and housed together? In most circumstances this should not be a problem, but please be sure to talk to your organization well in advance, so appropriate arrangements can be made. Are meals and housing provided? Yes. In Ghana you will either be allocated accommodation with a host family, or at a house for volunteers. Three meals a day at either place are included in your program fee costs. Will my host family be able to speak English? Yes, the official language in Ghana is actually English, so you should have no problems communicating with them. However, do remember that English may not actually be their native tongue as there are many other languages spoken throughout the country. Can I travel to other cities during my days off? During your time off from volunteering in Ghana you are actively encouraged to discover more of the country. You will need to organize your own travel arrangements, however your local support team will help you, and also be able to recommend things to see, do and experience. Do I have to bring my own bedding and mosquito nets? Bedding is provided, but if you plan to travel before or after your placement you may wish to bring a sleeping sheet/bag and a mosquito net. What if I don't speak the native language? This will not be an issue for you in Ghana as the official language is English. How will I get to my project every day? Can I speak with a volunteer who has worked on my project in the past? Your organization may have an online volunteer community or forum where you can connect with previous volunteers, or a database of volunteers who are willing to be contacted. Check with your organization to see if they have either of these. What kind of food will I eat while I'm there? In Ghana the meals included in your program fee will be based on local cuisine. Typical Ghanaian food consists of starchy staple foods, (sweet potatoes, rice, yams, beans and maize), accompanied by a soup or sauce. How many hours per day will I be volunteering? Most volunteers will be required to work around 4-6 hours a day. This will however depend on your project, and the hours may be split between morning and afternoon. Check with your organization for the full details relating to your specific project. This will really depend on how you plan to experience Ghana. If you plan on doing a lot of shopping, domestic travel, going out and visiting attractions than you will need to budget a lot more, however with 3 meals a day and accommodation included, around $50 a week should be sufficient for any personal expenses. I am having a wonderful experience so far in Ghana. The language and culture week prepared me a lot for the culture I was getting into, and was taught wonderfully. We went on a week long safari which was life changing and awe inspiring. Now, I have finally started my project. Thanks! “I spent approximately two weeks in Ghana with my son and two of his friends volunteering through IFRE at the Good Shepherd Orphanage in the Kasoa area just outside of Accra. Overall we had a very positive experience in Ghana and it was in large part due to the excellent staff at our home base in Kasoa. Franklin, his brother Wisdom, and the two housekeepers/chefs were always kind, generous with their time, and willing to assist us in any way. I can’t speak more highly of Franklin, who literally spends all his days and many of his nights trying to make the volunteer experience better for those coming to do service in his country. He is gracious, open to feedback, and very helpful. In preparation for the trip, I spent several months communicating with the U.S. IFRE staff and Franklin in Ghana. Both sides were essential in helping to coordinate all of the elements of our trip from the United States and ensuring that we had as much information as we could before leaving for Africa. No email went unanswered and I was able to relay information to the parents of the boys I was taking with us to Ghana. Once we arrived in Ghana, the IFRE staff was there at the airport ready to take us to home base in Kasoa. Home base is a well-maintained compound within walking distance of all needed services in the area and not too far from our actual project site at Good Shepherd. The structure is kept clean and safe by the staff and is very comfortable for the volunteers. For those coming from the U.S. and other countries thinking they will be staying at a luxury hotel, they will be in for a surprise, but we didn’t expect that nor was it part of the experience we wanted. Home base feels like a home for the volunteers and everyone we met there was very congenial and happy with the house. The food was prepared with skill and was in abundance. The diet is primarily starch-based, as is the case for much of the diet in the country, but the cooks were always happy to try something we suggested and there was always fresh fruit at meals and a salad. We had a good experience at our project because we made it so. It’s important for volunteers to realize, and it should be communicated to them through IFRE, that volunteer projects don’t always have the greatest amount of structure before the volunteer gets there. Some do and some don’t – it varies. If volunteers can come with some ideas or discuss them beforehand, it would make for a better experience for all. I spent much time coordinating our days and what we would do, and it was a great experience for me as a project manager. However, I’m an adult with lots of experience in such matters, and most of the volunteers are students without such a background. It would also be helpful, and Franklin and I discussed this, to let volunteers know there are a variety of places where they can work once in Ghana, and not just at their own site. This would make for a robust experience in many ways especially if a project is a little light on work. Americans and Europeans come with the idea that they will be putting in 12-14 hour work days as we do at home and this isn’t often the case. Fortunately for us, we had a very receptive counterpart at Good Shepherd and were able to keep busy almost the entire time. And there were other options for us if we wanted to join other volunteers at their project sites. Most of them actually joined us at Good Shepherd for our activities. It’s important for volunteers traveling to Africa for the first time to realize there are cultural differences and that flexibility is key. People will have a much better experience if they can go with the flow a bit more and not come with so many pre-conceived ideas about what will be happening. I just arrived to my location in Ghana to begin my 12 week long trip here working in an orphange. Just to update you, the organization has been incredible. Besides a very helpful orientation, Richard and Naomi have both been extremely helpful in getting me aquainted with the culture. I am having a great time and am looking forward to the rest of my time here!